Is Upholstery Shampooing Good for Pets? To maintain their comfort and appealing looks, different upholstery furniture need to be thoroughly cleaned occasionally. This helps get rid of dust, germs and bacteria that may be harbored within the upholstery material. It also helps get rid of dirt and stains, leaving the upholstery looking and feeling new and fresh. Shampooing is one of the most popular and common upholstery cleaning methods. It makes use of shampoo and other cleaning detergents to get rid of the dirt that may have accumulated in the upholstery over time. 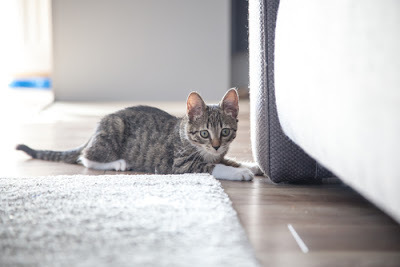 However, depending on the nature of the shampoo and other detergents and the mechanisms used, upholstery shampooing may be harmful to your pet’s well-being. Cleaning upholstery and other furniture by shampooing entails using shampoo and other cleaning chemicals and ingredients to get rid of the dirt. The solution of shampoo is scrubbed into the upholstery either manually using brushes and/or towels or automatically using specialized cleaning machines. If doing it manually, time has to be allowed for the mixture of shampoo to seep in, collecting the dirt as it goes. It is later sucked out using a suction machine or ordinary vacuum cleaner. This may leave a lot of debris constituting dirt and residue of the shampoo and detergents lodged into the upholstery. However, when using specialized shampoo cleaning machines, the solution is automatically rubbed into the upholstery and also sucked out at the same time. This method further ensures that the shampoo is rubbed deep into the upholstery to ensure effectiveness. However, depending on the suction power applied, residue may also be left over. Depending on the quality of the shampoo and cleaning chemicals used, the left over residue may be harmful to pets and humans as well both in the short run and long run. Depending on how shallow the left over residue is in the upholstery, pets in the house are bound to come to contact with it after cleaning. Unsafe cleaning products come with volatile chemical compositions. • Constant itching in pets. • Itching consequently leads to loss of fur and hence unappealing looks. • The itching may also irritate the pet, making it unfriendly and hence potentially dangerous (especially in cases of dogs). • In severe cases, rashes may also develop in the affected areas. This develops to other worse medical conditions over time if left unchecked. The effects of these chemicals however go beyond the skin. 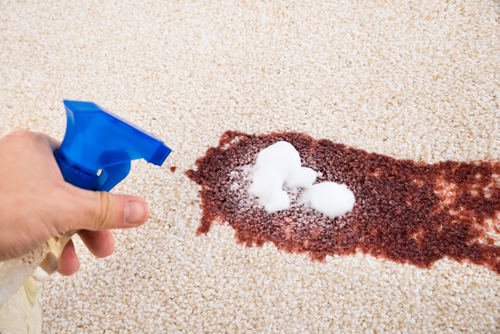 Over time, the residue is bound to dry up, hardening into a solid mixture of shampoo residue and accumulated dirt. The mixture tends to break up over time, letting loose in the air as tiny dust particles. If left unchecked, these conditions may worsen in time, requiring more complicated attention to solve. They may also be irritating to the pets, making them restless or depressed, and also leaving them in pain and discomfort. As such, shampoo cleaning may be dangerous to pets’ wellbeing, and is recommended against for people with especially delicate pets. However, it all depends on how well the job is done and the safety of shampoo and other cleaning detergents used. Among other methods, shampoo cleaning for upholstery and other furniture is a really effective way of ensuring cleanliness and hence safety. Nonetheless, it largely depends on the mechanism used and the quality of shampoo and cleaning chemicals incorporated. To ensure safety for pets and other inhabitants, it is recommended that only chemicals and shampoo certified by the Singapore regulatory authorities be used. This goes a long way in ensuring quality. Also, make sure to use professional cleaning services or cleaning machines with a strong suction power. This will ensure that all the shampoo and dirt is extracted after cleaning, ensuring safety both in the long run and short run. To ensure safety for pets, make sure to use professional cleaning services and quality shampoo and cleaning detergents. Alternatively, you can use another cleaning method like steam cleaning.